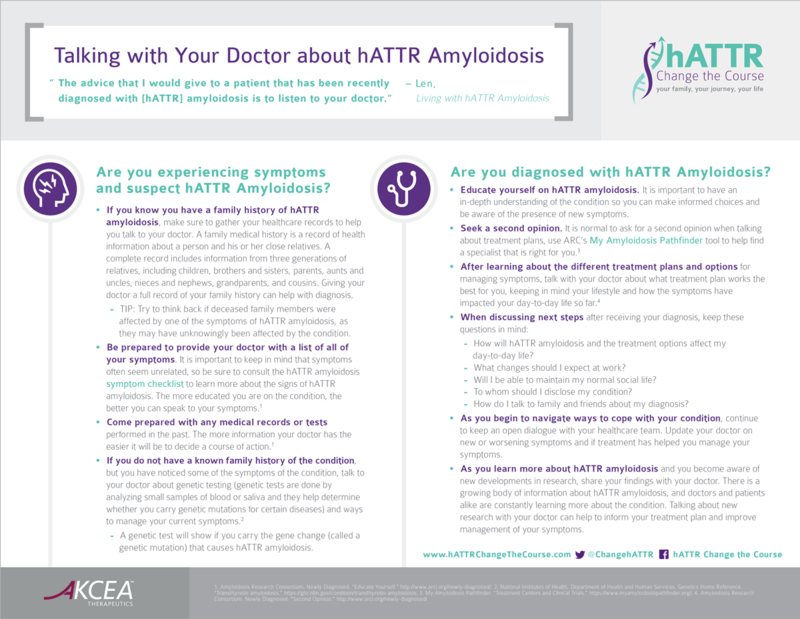 You’re not alone on your hATTR amyloidosis journey. Whether you are a patient, loved one, caregiver or health care provider, there are a wide variety of resources available to help. Click on the tools below to get started. Need Help Connecting Your Symptoms? Backpack Health supports those living with complex health conditions and those trying to identify symptoms and work towards diagnosis. Akcea Therapeutics and Ambry Genetics are partnering to offer confidential, no-cost genetic testing and confidential genetic counseling to patients suspected of having or clinically diagnosed with hATTR amyloidosis through the hATTR Compass Program.